Five years ago I thought I had it made. Steady job, beautiful wife, first child on the way, plenty of square footage in our house in suburbia… I was living the American dream. I was making all the “right” moves, like putting sweat equity into my house, putting 5% of my paycheck into my 401k, and we had just decided to add about $75/month to our mortgage payment. I was balanced…responsible…”successful”. Then I picked up a book at a used bookstore on a trip to the mountains. I had plenty of time to read on that trip, so I thought “I’ve got to buy something“. The book was called “Your Money Or Your Life”, and it turned my world upside down. As I read more and more of the book, I began to feel dizzy. Like nothing was in the right place anymore. Like I was waking up from the Matrix, and was realizing that everything that I had thought was “right” was actually just a little bit wrong. As I thought more and more about the concepts the book presented, namely how to become financially independent, I could see that it was the only way I wanted to handle my financial life going forward. When I talked to my wife about it, however, I could tell that the information didn’t make a ton of sense to her on the surface. I mean, looking at where we were, and where I was proposing that we go… who wouldn’t want the “successful” life we had before? There were many conversations, and I had to be selective about what I shared with her. No one can be forced to wake up from the Matrix. She wasn’t “ready”. But there was a catch or two in the way we had been defining success. First of all, I would have to work a fairly demanding job for the next 40 years in order to maintain our standard of living, and secondly I would miss out on the bulk of my children’s upbringing. Those were nagging thoughts 5 years ago. At this point they feel more like emergencies! As I continued to discuss my ideas, thoughts, reasons, and plans with my wife, she slowly came around to understanding and agreeing with the course of action I wanted to take. But it wasn’t overnight. She needed time to process and think about the ways our lives would have to change, and she also needed help understanding the benefits of financial independence. That first year makes me think of starting anything that’s worthwhile– take running for instance. Some people need a major event to convince them that exercise or running is a good idea. Others can be slowly convinced using logic that running has great benefits and is something we should make a habit of doing whether we “feel” the need for it or not. That’s where my wife and I were. We had to be introduced slowly to the concepts of financial independence, but given enough information and time to process it, we knew that it was the way we wanted to go. The last 5 years haven’t been easy for us. To our friends and family, our “status” has taken a downward direction that we hadn’t displayed in the past, mostly due to our move into a smaller house, but also in the way we don’t buy so much “stuff” anymore. But I’m not going to lie, holding on to the vision and keeping our spending in check is tough! Especially when those around us (we have lots of family) are “moving up” according to society. Going back to my running analogy, those are the rainy days. Those are the mornings where you only have an hour to get your run in, and it’s between 5-6am, and the thermometer reads 30 degrees. But the next day, are you happier when you made it through that run, or when you called it quits and went back to sleep? Obviously you want to be the strong runner who rises above small challenges like these. And over time, those challenges become less challenging, and you see for yourself the benefits you’ve been envisioning. Over time, as your financial independence vision grows, and you begin to practice saying “no” to the temptations to give up, to change course, or to be satisfied with the status quo. As you learn more about financial independence, and begin your own FI journey, make sure you map out your strategy. 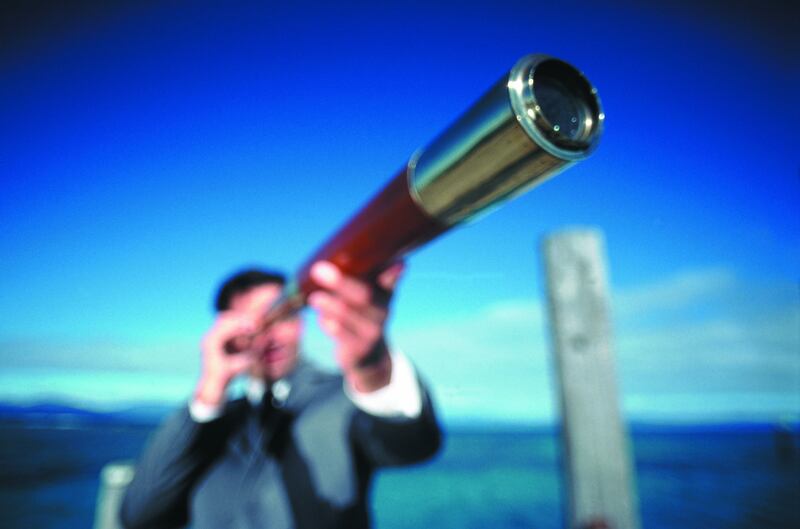 Your vision for where you’ll go will become stronger as you anticipate challenges and overcome them. But you’ll also (and maybe more importantly) need to become a vision caster for those around you. You’ll look like you have two heads to them at first, of course, because you’ll be part of a small minority. But being able to present a convincing vision of what financial independence will look like is the key to changing their minds. Pretty soon they’ll “wake up”, and find that they don’t have to be like everybody else.